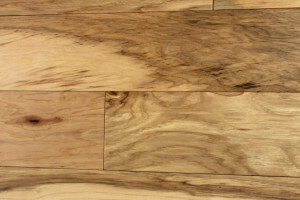 Hickory Pecan | SCS Hardwood Floors, Inc.
Also Known As: Pecan Nut, Pecan Hickory, Sweet Pecan, Nogal Morado and Pecanier. General: Hickories are split into two groups; true hickories and the pecan hickories. The wood is virtually the same for both and is usually sold together. Hickory is the hardest, heaviest and strongest American wood. The heartwood of hickory is pale to reddish brown. 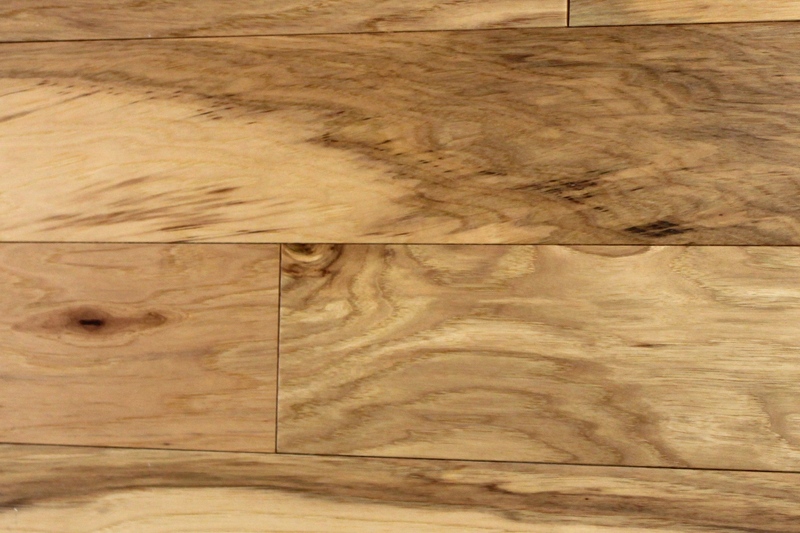 The sapwood is white-tinged with inconspicuous fine brown lines. Both are coarse in texture and fine-grained, usually straight but can be wavy or irregular. The grain pattern welcomes a full range of medium to dark finishes. Hickory Pecan has a rating of 1820 on the Janka Hardness Scale. It is well known for its excellent strength and shock resistance.